… Indeed, and we don’t need to give explanations to explain that everything that may affects the CPU to cause a High Load (or usage) inherently affects and cause huge impact on BizTalk Server performance. The .NET framework is regularly optimized by Microsoft using the .NET Runtime Optimization Service to make sure you get the best out of the system libraries and this is also done for your installed managed application. It is also more or less responsible for precompiling .NET assemblies in the background. Once it’s done, it will go away. And while you may see CPU usage almost near the 100%, the compilation happens in a process with low priority, so it tries not to steal the CPU for other processes you are doing. Once everything is compiled, assemblies will now be able to share pages across different processes and warm startup will be typically much faster. Open a command prompt as administrator and run the adsutil command. To do this, Press the “Windows key” to open the Start menu and type “cmd” on the Start Search box, right-click in “Command Prompt” and select from the context menu the “Run as administrator” option. This will process all pending work. Once this is done, the service will shutdown, as it has nothing else to do and you will see that the CPU will be back to the normality. This can be important to be aware for the Administration team (or DevOps team) while planning your .NET framework update to make sure that everything run smoothly especially in the production environment, otherwise this can be one of the reasons (at least for a few minutes or hours) for you notice that our production applications are running a little slowly. 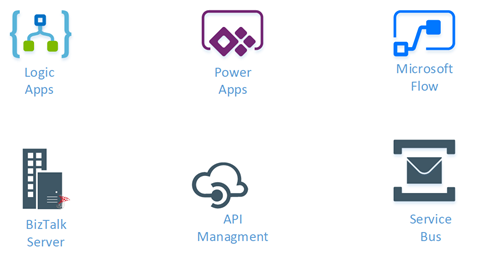 I have been working with API Management (APIM) for a long time, not only playing around with POC and testing new features but actually working and implementing real solutions for clients. I also delivered several API Management talks here in Portugal but I realize that I never wrote a blog post about this topic. That will change today hehe. API specifications can be written in YAML or JSON. The format is easy to learn and is both human-readable and machine-readable. This specification is widely used these days, especially in the Microsoft community, but unfortunately, not all of them use it and there are still quite a few APIs that do not expose any kind of specification/documentation like Swagger, WADL or even WSDL (this last for web services). For REST APIs, I have seen several suppliers/partners use Postman Collections to easily test their APIs by emulating request but also to document the APIs by adding a name and descriptions to requests, sample requests, headers, and other metadata. Performing unit tests in all the operations and sharing them inside their teams. Postman Collections are groups of requests that can be run together as a series of requests, against a corresponding environment. Using scripts, you can build integration test suites, pass data between API requests, and build workflows that mirror your actual use case of APIs. I have to say, I love Postman but I never used it for that propose, although it is an excellent tool, in my opinion, I believe that to document an API it has some limitations. So, how can I import a Postman collection into my Azure API Management? Fortunately for us, there are several free tools that allow you to convert (or transform) a postman collection (1.0 – 2.0) to formats of your choice that in our case Swagger. And one of these tools is APIMATIC. The output file will be automatically downloaded into your machine. This approach saved me several working hours on the task of exposing the Partner API in my API Management Portal. I been delivering a lot of BizTalk Server Training Courses for Developers and for Administrator in the past years that I normally like to call them “Developing BizTalk Server version Course” or “BizTalk Server Operations, Administration, and Maintenance (OAM) course” – yes I know, I am very creative in terms of names – and one of the good things about using Azure Virtual Machines for that is that we can easily create several developer machines in a short period of time and manage them for not consuming resources. And normally on of the task that is present in both courses is to configure BizTalk Server environment, because I believe that all BizTalk Developers should know the basics of BizTalk Server in terms of installation, configuration and optimizations – tasks that are normally done by BizTalk Administrations – I can go further and say that, in my personal opinion, if you don’t know these basic concepts you are not truly a BizTalk Developer because many things can be done by configurations and not code. In the “Add Generated Items – <Project Name>” dialog box, select “Consume Add Service”, and then click “Add”. A network-related or instance-specific error occurred while establishing a connection to SQL Server. The server was not found or was not accessible. Verify that the instance name is correct and that SQL Server is configured to allow remote connections. (provider: TCP Provider, error: 0 – The remote computer refused the network connection.). when we try to connect to the SQL Server configured. This error may occur for several reasons like BizTalk Server cannot communicate with SQL Server machine because some firewall restrictions or SQL Server does not accept Remote Connections and so on. However, in our case, we are talking about a standalone BizTalk machine that is trying to access a database in the local SQL Server. Our problem was that by default what Microsoft could possibly configure wrong in terms of SQL Server protocols on the BizTalk Server developer image on Azure… is actually set up wrongly! And as I described in my BizTalk Server Installation and configuration tutorial (see here), one of the important steps is to configure SQL Server Network Protocols, in special ensuring that TCP/IP is enabled and Shared Memory is disabled. You can see how to accomplish this using SQL Server Configuration Manager tool here. The actual problem that was causing the connecting to fail while trying to connect to the LOB system, in this particular case the SQL Server is because the TCP/IP protocol is disabled. Press the “Windows key” to switch to Metro UI and type “SQL Server 20016 Configuration Manager” and click on “SQL Server 2016 Configuration Manager” option on Apps menu. Repeat to enable the other protocol if necessary. Verify that “Shared Memory” is Disable. In the left-hand pane, click “SQL Server Services”, right-click “SQL Server (MSSQLSERVER)”, and then click “Restart”. After correctly configure the SQL Server protocols, again, especially the TCP/IP, you will be able to successfully connect and generate the SQL Server Schemas that you need for your BizTalk Server Solution. My new Pluralsight course about coordinating Java microservices with Spring Cloud, is out! Home › Cloud › My new Pluralsight course about coordinating Java microservices with Spring Cloud, is out! No microservice is an island. Oh sure, we all talk about isolated components and independent teams. But your apps and services get combined and used in all sorts of ways. It’s inevitable. As you consider how your microservices interact with each other, you’ll uncover new challenges. Fortunately, there’s technology that’s made those challenges easier to solve. Spring Boot is hot. Like real hot. At this point, it’s basically the de facto way for Java developers build modern apps. Spring Cloud builds on Spring Boot and introduces all sorts of distributed systems capabilities to your code. Last year I delivered a Pluralsight course that looked at building services with it. But that was only half of the equation. A big portion of Spring Cloud simplifies interactions between services. So, I set out to do a sequel course on Spring Cloud, and am thrilled that the course came out today. Introducing Spring Cloud and microservices coordination scenarios. A chat about the rise of microservices, problems that emerge, and what Spring Cloud is all about. Locating services at runtime using service discovery. The classic “configuration management DB” can’t keep up with the pace of change in a microservices architecture. No, you need a different way to see a live look at what services exist, and where they are. Enter Spring Cloud Eureka. We take a deep look at how to use it to register and discovery services. Protecting systems with circuit breakers. What happens when a service dependency goes offline? Bad things. But you can fail fast and degrade gracefully by using the right approach. We dig into Spring Cloud Hystrix in this module and look at the interesting ways to build a self-healing environment. Routing your microservices traffic. A centralized load balancer may not be the right fit for a fast-changing environment. Same goes for API gateways. This module looks at Spring Cloud Ribbon for client-side load balancing, and Spring Cloud Zuul as a lightweight microproxy. Connecting microservices through messaging. Message brokers offer one convenient way to link services in a loosely coupled way. Spring Cloud Stream is a very impressive library that makes messaging easy. Add competing consumers, partition processing, and more, whether you’re using RabbitMQ or Apache Kafka underneath. We do a deep dive in this module. Building data processing pipelines out of microservices. It’s time to rethink how we process data, isn’t it? This shouldn’t be the realm of experts, and require bulky, irregular updates. Spring Cloud Data Flow is one of the newest parts of Spring Cloud, and promises to mess with your mind. Here, we see how to do real-time or batch processing by connecting individual microservices together. Super fun. It’s always a pleasure creating content for the Pluralsight audience, and I do hope you enjoy the course! This week I received a call of one of my customers reporting me a strange issue. Strange because everything was running fine and suddenly, for no apparent reason, each time someone tried to invoke or browse WCF Services exposed by BizTalk Server the IIS Application pool configured for that services automatically stopped. Of course, with that type of error description, the first step we did was to reenter the credentials for that user in the application pool but… the same problem persisted. So, at this point, we knew that this was a security policies problem and we suspect that some automatic process created by sysadmins where changings something in the Local Security Settings on the BizTalk Server machine. Note: By definition, this security setting (Log on as a batch job), allows a user to be logged on by means of a batch-queue facility and is provided only for compatibility with older versions of Windows. For example, when a user submits a job by means of the task scheduler, the task scheduler logs that user on as a batch user rather than as an interactive user. Press the “Windows key” to open the Start menu. Type “secpol.msc” and click on “Local Security Policy” option from the Search window. Note: Of course, for you to do the above steps, you need to have administrator rights on the computer or be part of specific domain groups in case of Security Settings policies are governed by some AD domain groups. Note: this problem can also occur and the same solution can be applied to SharePoint.